I must have at least 50 (ok ok…. maybe more like 100) baking books on my bookshelves, but somehow I always feel like I need more. I do love a cookie. Or as I would call them, a “biscuit”, because I am British, and that is how I do things. They used to make us some really fabulous cookies at work before we moved offices, but alas now we get standard cookies, which aren’t as exciting. It is however always a better break time when I have one of those instead of when I have on occasion in desperation attempted to satisfy my cookie urges by eating one of “Grandma’s” cookies – they are an insult to Grandmas everywhere, my Grandma would never have served me such substandard baked goods! 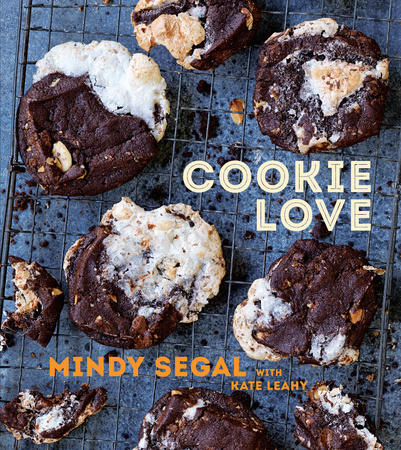 Mindy Segal is a self-confessed Cookie Nerd, handy in a cookbook writer, as it means that you know that the recipes should be well tested and tweaked until they result in wondrous cookie perfection every time. Yup. They kinda spread together a little. 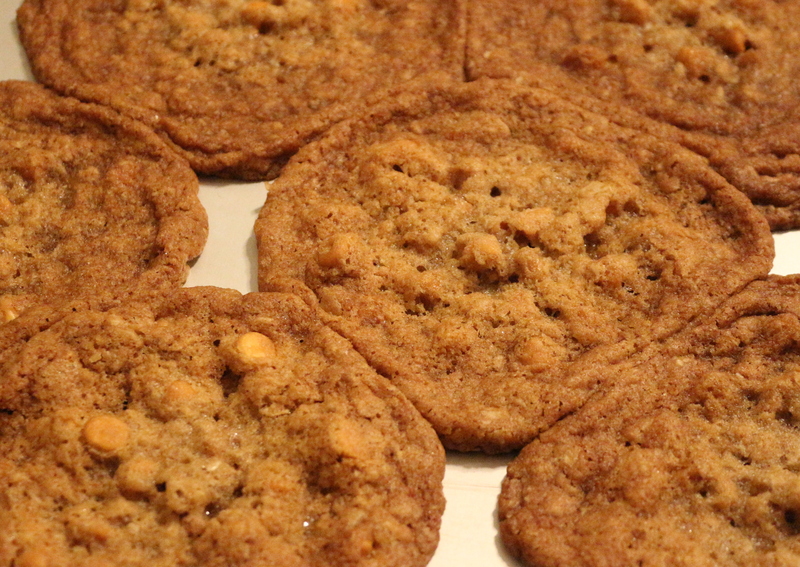 I liked the toasted oat aspect of the cookies, and the sweet and salty, but I found it a little too sweet (perhaps in part due to me finding butterscotch chips a little sickly and synthetic tasting), and a little too salty as there were 2 whole teaspoons of salt in them there cookies! (You can get the recipe for Oatmeal Scotchies here.) I gave a couple to Mr M and our visitor from England to try, and while they agreed that they were possibly a little salty, otherwise found them tasty! Update: I also gave them to my co-workers at work…… They are addicted, so it is perhaps just me. Maybe I just have a slightly different taste profile to the author and need to tweak the recipes to suit my palette accordingly. However there are a few other recipes in there that I fancy giving a try, like maybe the savoury biscotti for cheese as Mr M is a big cheese fan. Does it add much to my cookbook shelf? Not necessarily. It is a nicely put together book, plenty of pictures, but the recipes are not necessarily super original, or ones that are massively different to ones I already have in other books. I received this book for free from Blogging for Books in return for this review.